CHICAGO (WLS) -- Protesters are calling on Chicago pastor Corey Brooks to step down from the Illinois Tollway Board and get involved in the state budget battle. 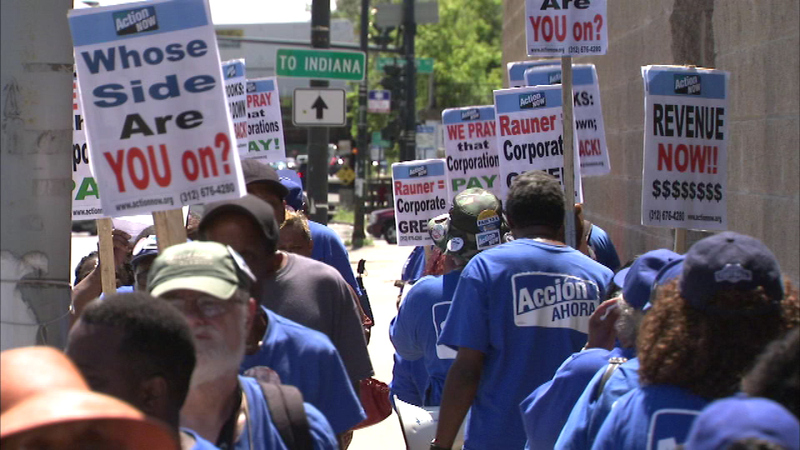 Members of the group Action Now demonstrated outside Brooks' South Side church Wednesday afternoon. Governor Rauner appointed Brooks to a paid position on the Tollway Board. The protestors want him to fight possible cuts to social service programs. They continued their chants even as Brooks offered the demonstrators bottles of water. Brooks supported Rauner in his campaign against former governor Pat Quinn.